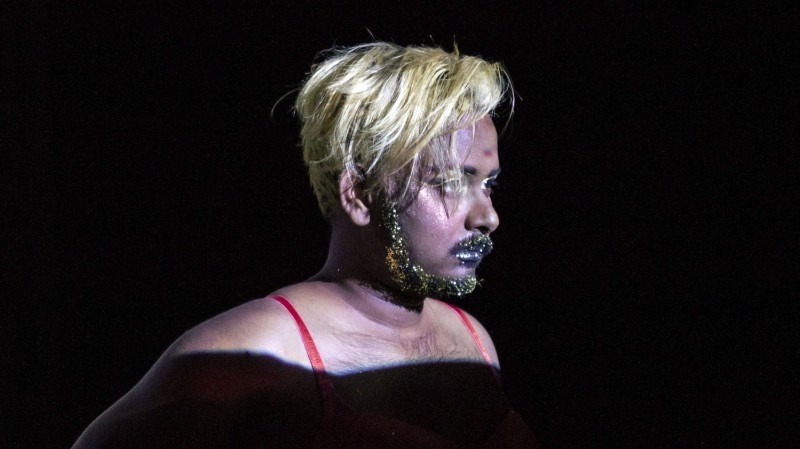 Ali Asgar is a Bangladeshi transdisciplinary artist and cultural producer whose performances and visual narratives arise from growing up queer in a heteronormative class-based society. Their provocative street performances and gallery exhibitions exposed them to serious risk in Dhaka and, in 2016, they were awarded an Artist Protection Fund Fellowship at the University of Maine. They are currently working on an MFA in Performance at the School of the Art Institute of Chicago. Ali has exhibited at the Dhaka Arts Summit, the Kolkata International Performance Festival and the Asian Art Biennial. Their work has been produced in Boston, Chicago and New York City, where they were a featured artist at the PEN World Voice Festival.